Artist Billy Schenck has dedicated himself to capturing the imagery of the Wild West in eye-catching Pop Art style. The 'Warhol of the West', as an artist Billy Schenck's work will stand the test of time as an important contribution to art history, his paintings as iconic as tales of that infamous era. 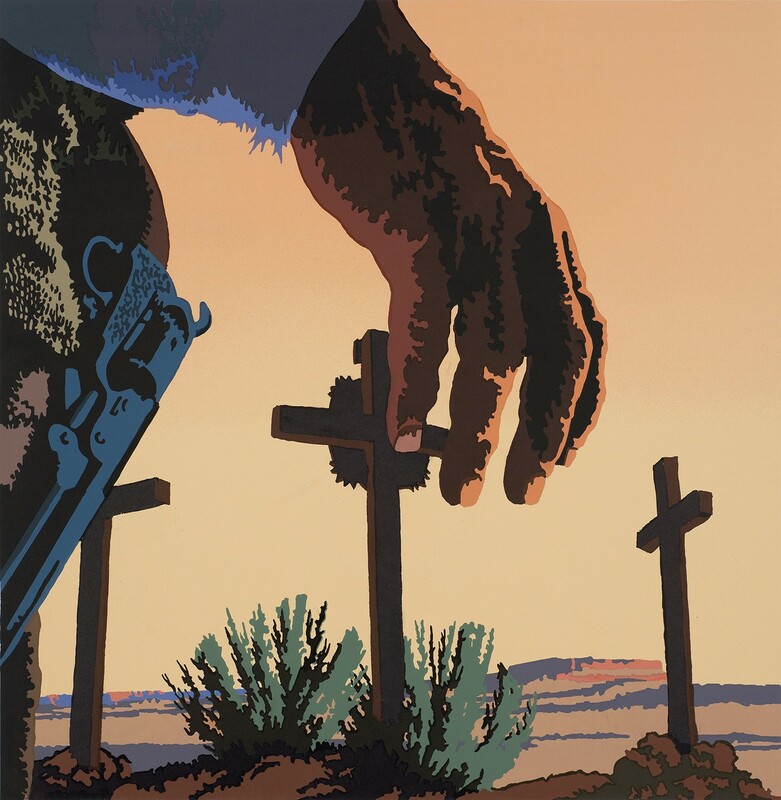 Building a narrative by portraying the West in a contemporary style, artist Billy Schenck builds on the legendry status that Hollywood gave the stars of the western genre. Possessing a sophisticated understanding of design and colour, his brazenly bold canvases possess a vibrancy satisfy any interior designer. Born in Ohio in 1947, he trained at the ColumbusCollege of Art and Design in Ohio 1965-1967. Billy felt his talents as an artist leant far more towards cartoon and Pop Art. ‘Everything I am came from the era of 1964/65 Pop Art’ Andy Warhols Soup Cans made him understand he was right. He initially saw them in an exhibition at the university. He headed straight for New York for the Summer, understanding that this was where it was at for him.